Economics. What do you think when you heard that familiar word? Money? Numbers? Graph? Inflation? Whatever it is, for me economics is something awesome. Really. I think this subject has ability to elucidate things in term of the incomprehensible. I also name it as the most scientific branch of social science (Remember with those beautiful formulas, integral, derivative, lovely math-for-economics and yesss, that unforgettable Econometric? Haha. Awesome right? Even though sometimes they make us lieur pisan. Haha). What I like the most is that Economics can explain something with precise analysis and logical theories. (Also: By studying economics, you can answers daily socio-economic issues, which are often discussed as main subjects on television, internet, magazine, or newspaper. That sounds pretty cool, really. I think Economics students (Anak-anak IESP) need to be more grateful. You guys should be proud of yourself more). Back then when I was in the second year of Senior High School, I started to get distracted by this subject. Actually I was a natural science (IPA) student at that time until one day, I still remember, when my teacher, Pak Aliyudin, encouraged me to join the Economics Olympiad (Which unpredictably I won as the first winner at that time). At that time I realized that the more I studied Economics, apparently, the more I felt curious about it and ended up with this feeling: "I enjoy this subject. I love it! Uh yeah!". Since then, I started to deepen my understanding about this subject, until to the choice of my major at university and of course, my career in the future. "I really want to work and use my potential in Bank Indonesia (The Central Bank)" that was the thing that I said to myself at that time. Therefore, I looked for a major that can ease my way toward my dream career. I still remember when I needed to contemplate and think carefully on which university that I should choose in SNMPTN (National Examination to enter top state-universities). 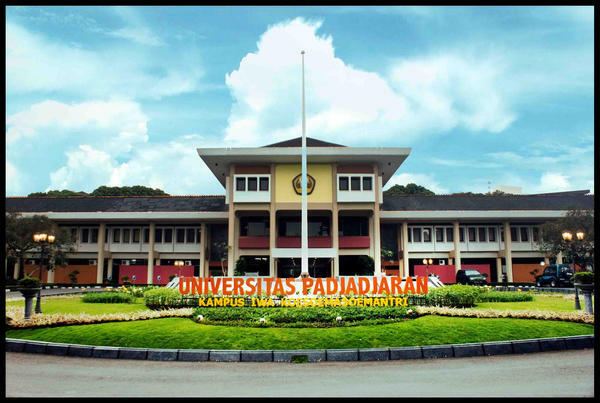 At that time, I considered UI (University of Indonesia) and Unpad (Padjadjaran University) since I found both of these universities have the best Economics department in the country. I don't know, but somehow at that time, there was something that led me to choose Unpad. Yes, my choice went to Economics Unpad. And you know what, I really believe that my choice was right. I learned a lot from Unpad. I’m beyond grateful every day that I decided to choose Unpad. What's more, now I am working as well as implementing my knowledge of and passion for Economics at my dream institution since my senior high school age which is The Central Bank of The Republic of Indonesia (Bank Indonesia). See, knowing your interests and passion, then choose the right place to nourish them will really help you reach your dream.